Mixed reality is a fairly new development that allows us to experience a broad range of hypothetical scenarios in real time, resulting in powerful simulations. Unlike its equally effective equivalent of augmented reality, it uses virtual objects to give the appearance that they are existing in the real world. In whatever situation the technology is applied, the results are always surprising. 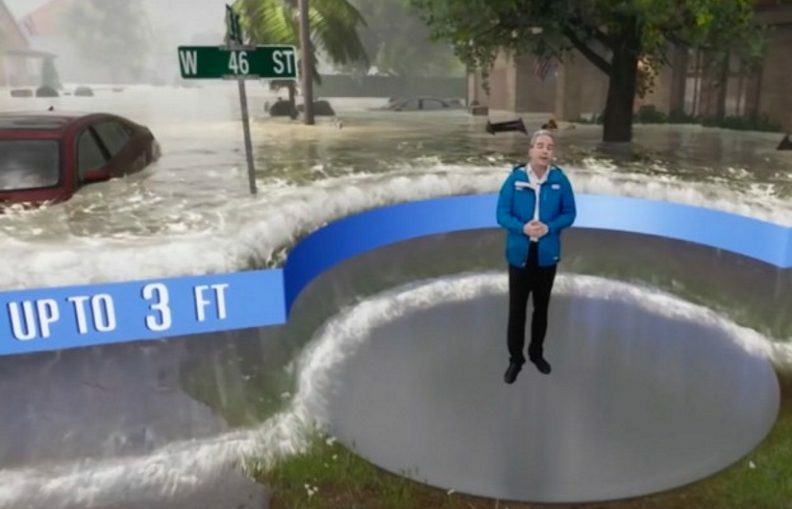 A recent example involves The Weather Channel’s use of the mixed reality to drive home the point about the seriousness of the storm surge of Hurricane Florence. The North Carolina Coast has been identified as the most vulnerable area for impact, where water could rise as high as 4 meters. To illustrate this again, meteorologist Erika Navarro used mixed media to give an idea of how a storm surge would impact us on a human scale, focusing on the impact of the inland areas. This technology aims to quiet the skepticism or disbelief experienced by some residents, with the hopes that it will lead to them taking faster action to evacuate. This is a familiar challenge for weather forecasters and meteorologists, as some people who live in hurricane-vulnerable areas tend to either not understand the full impact of an approaching storm, or either choose to take the approach of downplaying its severity. This is excellent timing, as the channel announced earlier this year plans to enhance its 3-year-old augmented reality technology capabilities even further by partnering with The Future Group to utilize its Frontier immersive mixed reality (IMR) technology platform which is powered by Unreal Engine.